For many families, the kitchen is the focal point of the home. It’s no longer just for cooking - families also eat and entertain there. Add in the desire for open floor plans, and the kitchen is on display even when not in use. As a result, Beco finds ways - even in the smallest of kitchens - to combine style and function. We specialize in handicap access as well. Kitchen remodeling and kitchen renovations with modern kitchen appliances and faucets, clean, beautiful countertops, a new sink or backsplash will enhance the heart of your home and make cooking a pleasure and a place for family and friends to gather for years to come. 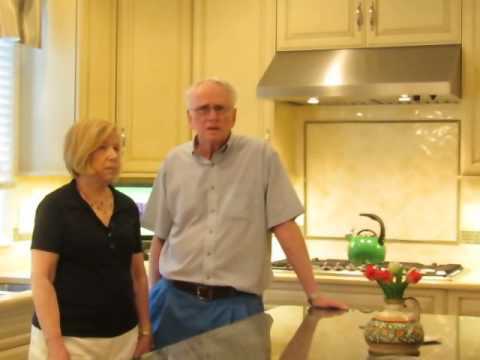 No matter if it's a small kitchen remodel, a large kitchen renovation, or creating handicapped access, Beco Kitchens, your kitchen remodeling specialist, will listen to your needs and desires and help you design a kitchen remodel that fits your budget. We complete everything from kitchen additions, to full kitchen renovations, and even small kitchen remodels and partial kitchen remodels to prepare a kitchen for resale. Beco Kitchens is your kitchen remodeling contractor of choice in Bucks & Mercer Counties, so give us a call today and let's get started! Kitchen Remodeling is one of the most popular home improvement projects for homeowners. Kitchen Remodeling not only improves the enjoyment and usefulness of the home, but it adds almost instant increased value and equity to both older and newer homes. Your Kitchen Remodeling Professional will help you plan and design your new kitchen for maximum functionality and attractiveness. They will help you select the cabinetry that best suits your needs and budget. Many homeowners today are adding furniture pieces to their designs. Whether it is a custom made table that compliments their cabinetry, a painted hutch, or an island with corbels and pilasters, there are many ways to add your own style to your kitchen. Some homeowners have also added fireplaces with decorative mantels as the focal point in their remodel, along with cozy seating areas, which add comfort and conversation to the heart of the home. Check out our Kitchen Designs page to find out more about how the remodeling process begins. Looking for Specialty Cabinets? We have a wide range of styles and functions to make your dream kitchen work for you and your family. Just want to see pictures? Take a peek at our Kitchens Gallery and our Before and After Gallery.